"which, I’m happy to report, loses none of its magic on a second viewing"
@Anthony: Excellent article! And the "Spoliers" are pretty intriguing. Thanks for sharing it, and for the comment. Had never heard of this movie before seeing it discussed here. Watched it and found the premise interesting, although some of the effects come off as quite amateur. Loved the ending. Jill: Thanks for stopping by! I'm glad you enjoyed the movie, and while I agree the effects are somewhat weak in parts, it didn't detract from the overall enjoyment of the movie. 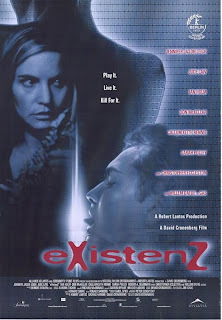 eXistenZ is such an underrrated movie. 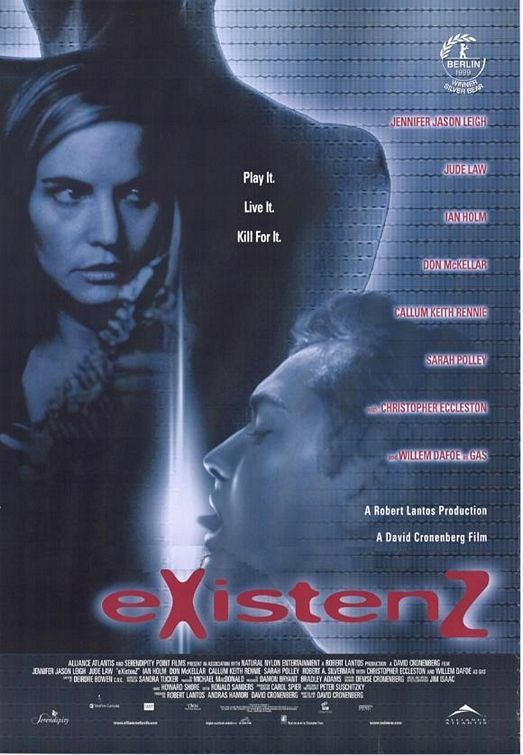 It's one of Cronenberg's best and one that not many fans of his know about. It was released a few months after The Matrix, so I'm sure that's part of the reason why it was so overlooked. Too bad it didn't have The Matrix's budget, otherwise it could've been a hit... or maybe not. This is much more complex than The Matrix.